Ever just sat your desk during lunch or at the end of a successful day and just browsed the Internet whilst the last 5 minutes slowly tick by? Admit it we’ve all done it, that quick wind down before the journey home, well instead of wasting it on celebrity gossip, get involved and up to date with what’s going on in the recruitment world with our list of the top 5 recruitment blogs. 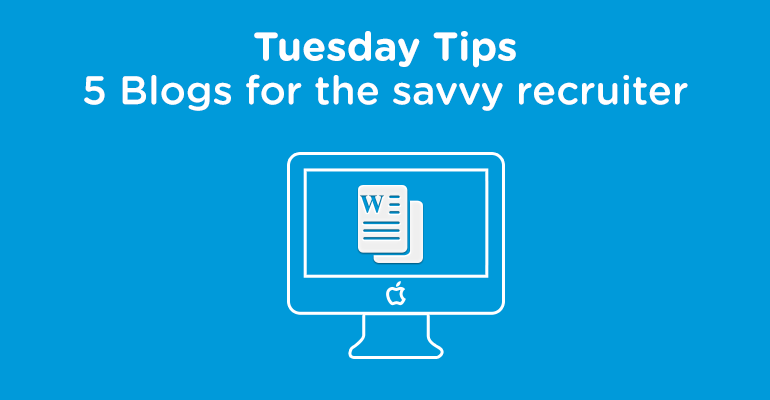 Be the savvy recruiter with the inside scoop on all things recruitment! Great resource for upcoming recruitment events and tips for recruiters. If you are off to the Technology Showcase event in October we look forward to seeing you! A great source of advice with different articles on improving your recruitment technique. Full of articles for recruitment across the globe. Latest hot topics include graduate recruitment, new hires and mobile recruiting. The sectors professional body. A great guidance, training, education and networking resource for those working in recruitment and HR. Articles full of advice and tips on personal development as well as news on recruitment across the globe. As always we’d love to hear your thoughts on our list or if you know more great blogs that should be on the list then get involved and let us know! Use the links below to share your thoughts and comments. For recruitment tips and advice straight to your email inbox check out the HRS Recruitment Tips Newsletter.